Future educators who seek to touch the lives of young people in grades 6 through 12 can pursue secondary education. SVSU’s program provides you the opportunity to enroll in TE 100, a supervised classroom field experience, before applying to the College of Education. As a teacher candidate in the secondary education program, (one of only 17 teacher education programs accredited by the Council for the Accreditation of Educator Preparation), you'll devote 300 hours in the field with other candidates, students, teachers and administrators. You will be placed in urban, suburban and rural classrooms working with a range of middle and high school aged learners. With our low student-to-faculty ratio, diverse range of education majors, minors and specialized endorsements as well as opportunities to teachabroad, SVSU offers you the high quality training that prepares you to teach in any state or country. Your journey to a fulfilling teaching career starts when you apply to SVSU. Hard work, academic dedication and opportunity earned Luke Sheppard a full-time job teaching math at Bridgeport Middle School before graduation. Luke was in the "top 5%" of his class academically. But his field experiencces at at Bay City Handy Middle School as well as Bridgeport High School showed administrators that he was up for the challenge of middle schoolers on a day-to-day basis. In addition to completing Basic Skills and General Education requirements, all SVSU secondary education students must declare an academic major and minor. Even while completing your courses, you will engage in both observational and teaching time in a secondary school classroom. For a comprehensive understanding of all the courses SVSU offers our education students and the academic opportunities available to you, read more. Cardinals are honored to support our future educators. That’s why every year SVSU awards education students with college specific scholarships. After you are accepted to the College of Education as a sophomore, you can submit SVSU’s General Scholarship Application to be considered for these awards. SVSU prepares each student to enter the field as an educator by advising with regard to your certification with the state of Michigan. For additional details on pursuing the Michigan Test for Teacher Certification in your content areas of study, read more. Individuals certified in secondary education can enhance their credentials earning endorsements. 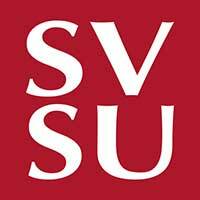 SVSU offers course preparation for over 20 subject areas. Our coursework and dedicated faculty equip you to successfully pass the Michigan Test for Teacher Certification (MTTC) so you can teach in the subject you are passionate about! You've tried another career, and you feel a calling to inspire students. We guide students to the career path they seek every day. Start your new path by discovering how your undergraduate degree applies towards the requirements needed to obtain your teaching license. Choose from three graduate degree programs: Master of Arts in Teaching, Master of Arts in Technology Learning Systems & Design and Master of Education (principalship); a variety of endorsement programs to enhance your credentials; or move into administration with our Education Specialist program. Education graduates at SVSU can go onto serve in local classrooms, care for special needs populations, effect change through policy, teach English abroad and govern education from the local to the national level. When you graduate from SVSU, the role you play in shaping the next generation is up to you. We’ll pave the road to your success.